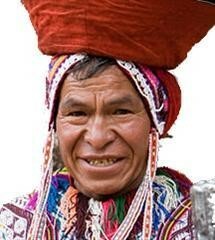 Bolivia has a population estimated to be 30% Quechua-speaking and 25% Aymara-speaking. The largest of the approximately three dozen native groups are the Quechuas (2.5 million), Aymaras (2 million), then Chiquitano (180,000), and Guaraní (125,000). So the full Amerindian population is at 55%; the remaining 30% is mestizo (mixed Amerindian and white), and around 15% are white. For these reasons, Bolivia can be said to be one of the “most Indian” nations on earth. Bolivian represents 295 unrelated Bolivians who were sampled by European and American Universities. Source publication: Bolivian population data from Genetic Testing Laboratories, Las Cruces, NM.